As part of my Masters programme at Curtin University, Western Australia, I had to do six months of practical internship in 2013 to practice counselling. I was placed at a community counseling service centre called Minnawarra House, Armadale in Western Australia where I had a very experienced clinical supervisor to monitor and supervise my sessions. Today, I would like to share with you the report she had sent to my university after I completed my internship. 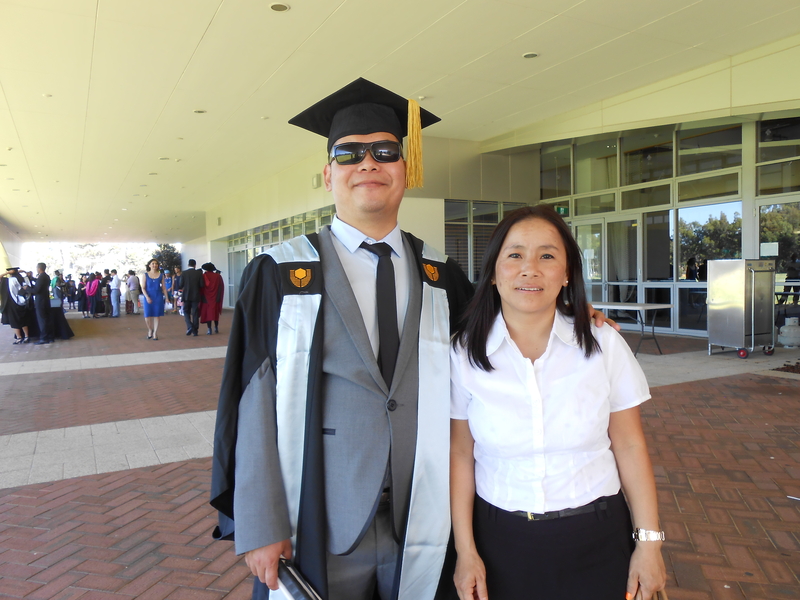 I write on behalf of Amrith Subba, Curtin University, Post Graduate Counselling Student. Amrith commenced his placement at Minnawarra House in August and will finish late October 2013. He joined the Roberta Jull Youth & Family Counselling Service as a Counsellor on Placement. During his time at Minnawarra House Amrith has sat in with six of my clients and has written observation notes on what has happened in the session. Considering that English is a second language Amrith manages his speech, comprehension, and written skills at a high level of understanding and delivery. Following the observed session there is opportunity for Amrith to discuss the session, the counselling processes employed, what the counsellor is aiming to achieve in association with the processes utilised. Amrith is able to understand the nuances of the session and has gained many skills to expand his university training in counselling. I have observed Amrith with the three clients he was allocated. Each client situation was complex and he was able to assist his clients to make progress with their issues. He has dealt with many aspects in his counselling sessions - grief, principles, ethics, disability, personality disorder, family system dysfunction, isolation, mental illness, effects of alcohol and drugs on the abuser and the extended family, death issues, anxiety, depression, unemployment, poverty and anger issues. Amrith was patient and kind with his clients. He asked appropriate questions of his supervisor, he followed instruction on different counselling processes from his supervisor and applied these appropriately in session. He is mindful, of himself and his client. His note writing of the sessions he observed are insightful and he has a consciousness of what processes are being applied and why. Amrith is delightful and insightful. His lack of visual sight has its advantages and disadvantages. I observe that clients do not feel exposed in his presence and that he develops rapport quickly. Clients have been respectful and advised if they cannot attend or with one client advising she wanted to suspend counselling. Clients attended appointments regularly, which is a strong indicator, that his clients were gaining value from attending sessions. I have explored with Amrith the concept of ‘being the detective’ in session. To hear every syllable, nuance, change in breathing, emotions, energy shifts, body shifts and to question and to get his clients to be more aware, reflective, confronted, questioned, communicative, and expansive. I have explored the need for Amrith to reflect with his client at the end of session to check out how his client is feeling. I have explored with him to check out how he is feeling after the session as this will be another observation of his client, and how the client affects others in his/her life, and how this reflects upon the life of the client. Amrith is set to build on his counselling skills. I am confident Amrith will go from strength to strength. He is at the beginning of his post graduate counselling education and I wish him well on his return to Bhutan. Thank you to Amrith, he has been a pleasure to have at Minnawarra House. When I just go through the report today, it makes me feel so great and grateful. I was very fortunate to get the opportunity to work with such a professional and experienced supervisor. It was a good learning experience. I still remember how anxious I felt on the very first day of my client contact. But with the constant support and guidance of my supervisor, I gradually developed self-confidence and made it to the last quite easily. I still miss my clients. Well done Amit. You deserve it. I know you from prime Khaling days, you are not one of those birds that can be caged. Keep flying my friend....sky has no limit.